A truly amazing cognac, distilled in 1965 and still ageing in cask. Bottled every year in stricly limited quantity, this exceptional Grande Champagne is filtered through paper at room temperature, to preserve its purity. Serge Valentin from Whiskyfun rated it 93 points (for this 46% version) - "Comments: sublime, as expected. The freshness alone is flabbergasting, while the profile would make me think of some Bowmore from the very same vintage. 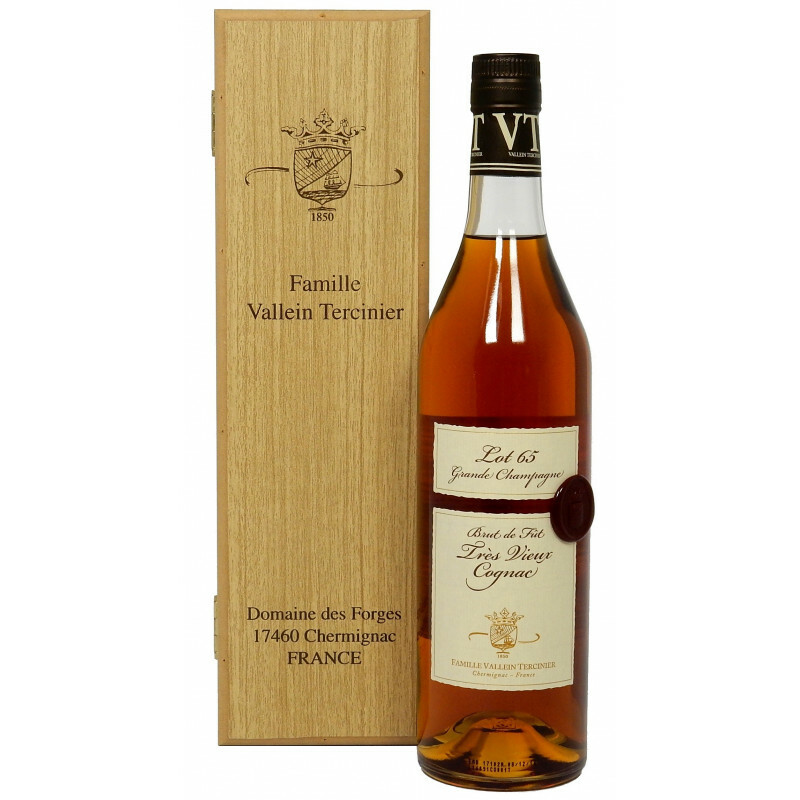 It’s going to be hard to find an even better one, unless an even older Vallein-Tercinier?..."